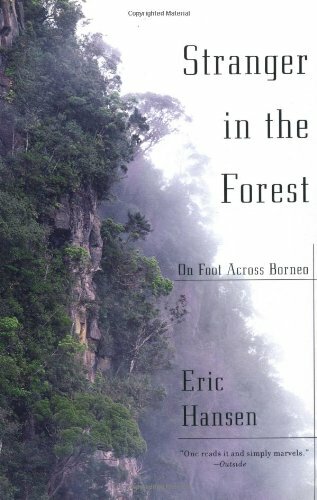 Stranger in the Forest is Eric Hansen’s stirring account of his trek back and forth across Borneo, the first such trip by a Westerner without technological assistance, spanning ten months and about 2,400 miles. Borneo, the third largest island in the world, measures roughly 800 by 600 miles. Rich in biodiversity, with large natural resources of oil, wood, and minerals ranging from gold to uranium – much of which is found in the heart of the eighty percent of the island made up of tropical rain forest – Borneo is home to four nations: the sultanate of Brunei, the Malaysian states of Sarawak and Sabah, and the largest, Indonesian Kalimantan. The island’s rainforest is the world’s oldest, at 130 million years old some 70 million older than that of the Amazon. 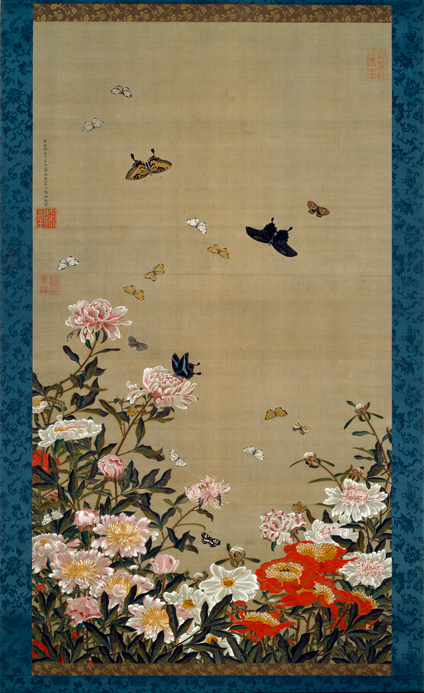 Ito Jakuchu, Peonies and Butterflies (c. 1757), from the series Colorful Realm of Living Beings. All thirty of the hanging scrolls in this series can be seen in Colorful Realm: Japanese Bird-and-Flower Paintings by Ito Jakuchu (1716–1800), on display from March 30, 2012 to April 29, 2012 at the National Gallery of Art in Washington, D.C. Topping off this fairly productive week was my completing an appreciation of The Jolika Collection of New Guinea Art at San Francisco’s de Young Museum, written simply with the goal of encouraging visitors to the city to take in this treasure. Several other book reviews and are in progress and on their way, I hope. Catching up with outstanding projects is an ongoing challenge. Current reading includes Paul F. State’s A Brief History of Ireland, inspired by the celebration of St. Patrick’s Day, and the ongoing reading of Émile Zola’s L’Oeuvre (The Masterpiece). The latter I’m reading a few pages at a time at night; at around the halfway point it has been very enjoyable, if somewhat aimless from a plotting perspective, in its portrayal of the art world in Paris late in the nineteenth century. I’ve already picked out my Wordless Wednesday image for later this week. 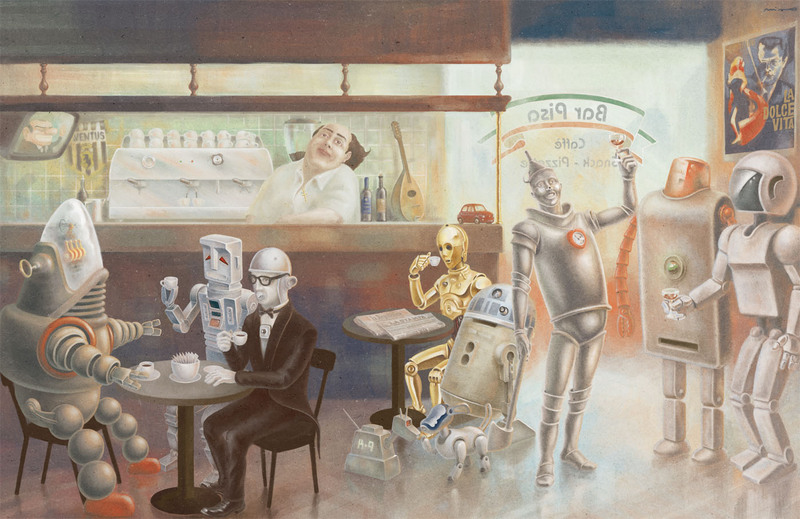 All I can say for now is – it involves robots! This week I was finally sucked into the trap of looking at my blog’s traffic, and what I saw surprised me somewhat. In the last week, for instance, I had almost as many hits from Japan as from the United States. One day this week Lithuania topped my list of visitors. The numbers are miniscule by Internet standards, of course, but that isn’t a worry. Unlikely as it is that I’ll ever be financially able to travel much, I admit that I have been trying, especially starting around three or four years ago, to gain some familiarity with the history, literature, film, music, and art of the various corners of the world as a substitute. Of course I haven’t even scratched the surface, but it’s a good project to take on for, say, the rest of one’s life. Finally, a visual and musical treat. Steve Reich has for many years been a favorite composer of mine. One of his most lighthearted and tuneful compositions is Electric Counterpoint for electric and bass guitars. This joyous work, recorded in the late 1980s by Pat Metheny, provided an important sample for a big hit some of you might remember from 1990, The Orb’s “Little Fluffy Clouds.” The Norwegian duo Röyksopp has also sampled Electric Counterpoint for one of its own pieces, and the combination here of Röyksopp’s Reich remix and the visuals, partly from around the dramatic setting of Norway’s lake Eikesdalsvatnet is, I think, pretty irresistible. Enjoy! 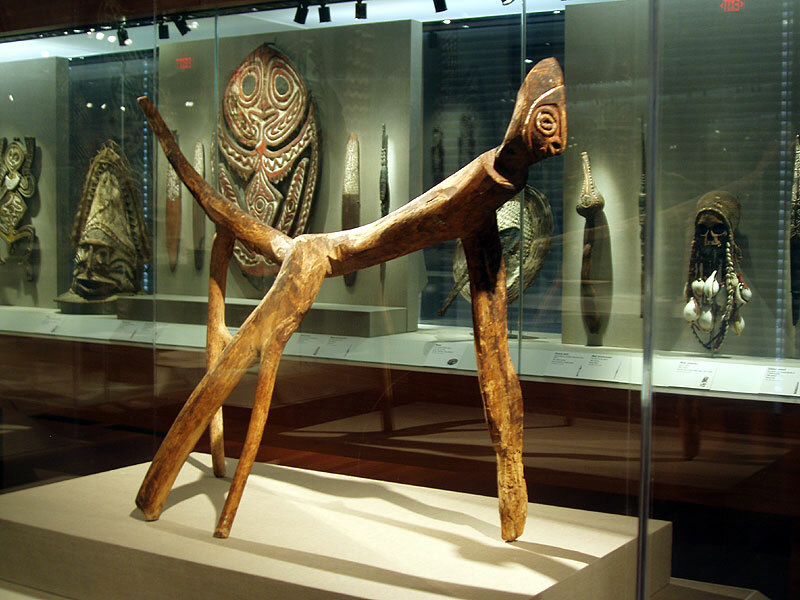 One of my regular stops on my trips to San Francisco (which don’t happen nearly often enough) is The Jolika Collection of New Guinea Art at the de Young Museum. While I’m always enthralled by the Collection, I’m also always somewhat dismayed by how few other people are looking at it. Not that the de Young’s visiting exhibitions, or the other parts of its permanent collection like the huge American Art galleries, aren’t worth seeing. But every time I’m at the de Young, some sort of magnetism draws me back into the New Guinea rooms, as well as the adjacent collection of art from Africa. So I thought I’d spend a few paragraphs sharing my enthusiasm for this collection, hoping to encourage some of you to check it out. Where else but at the San Francisco Symphony’s mammoth American Mavericks concert series could one hear music by the likes of Edgard Varèse, John Adams, Charles Ives, John Cage, Henry Cowell, and Morton Feldman, played by one of the finest orchestras in the world, and all within a few days of one another? 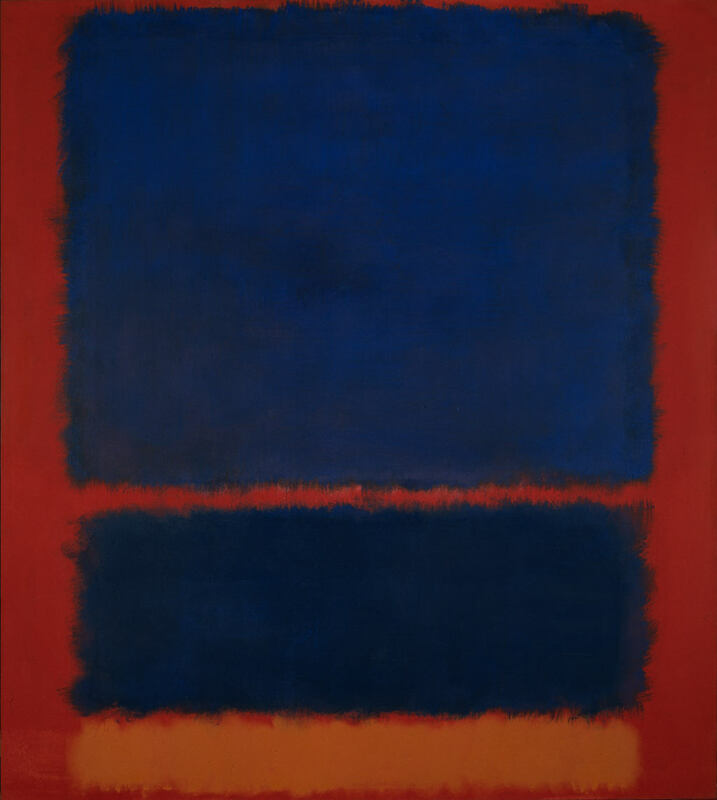 This series has called attention to major creative figures that, in a more culturally and artistically aware country, would be heralded as heroes and exemplars of the American spirit. I can’t imagine how much hard work went into these performances, but all kudos to Michael Tilson Thomas and the Orchestra for an amazing experience. Their performances were uniformly excellent, at least the equal of any recordings of these pieces (and generally, there aren’t very many) available. For my third post on the American Mavericks series, I would like to talk about the concert of Thursday, March 15, featuring the San Francisco Symphony, conductors Michael Tilson Thomas (in three of the four pieces) and Donato Cabrera, pianist Emanuel Ax, organist Paul Jacobs, electronica from Mason Bates, the St. Lawrence String Quartet, and the San Francisco Symphony Chorus.